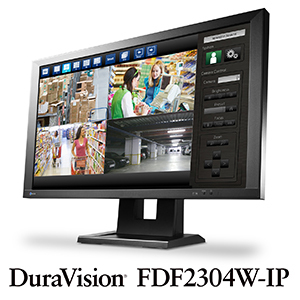 Hakusan, Japan, May 17, 2016 – EIZO Corporation (TSE:6737) announced a firmware upgrade (version 4) for its IP decoding monitor, the DuraVision FDF2304W-IP, with a new web API that allows operators to maintain various settings via web browser or installed video management systems (VMS). The upgrade provides increased flexibility and efficiency in security and surveillance environments. In addition, the new web API supports customized integration with the local VMS. This allows operators to assign a specific response from the monitor to automatically occur whenever a particular event takes place. For example, the monitor can be configured to automatically adjust screen layout when an individual enters the field of view of a connected IP camera. Various monitor and camera options can also be adjusted based on a preset time schedule according to the needs of the user environment.